When I was 8 years old and living in Liverpool, I wasn’t a huge football fan but I loved watching the football results on television and was quite taken with a cardboard League Ladder that came free with the Tiger comic. I suppose I should have supported Liverpool, or Everton like my dad. However, because my mum felt able to cheer on Motherwell, or perhaps because of the Tiger comic, or maybe it was the amber and black colour combination that I liked, I decided to support Hull City. 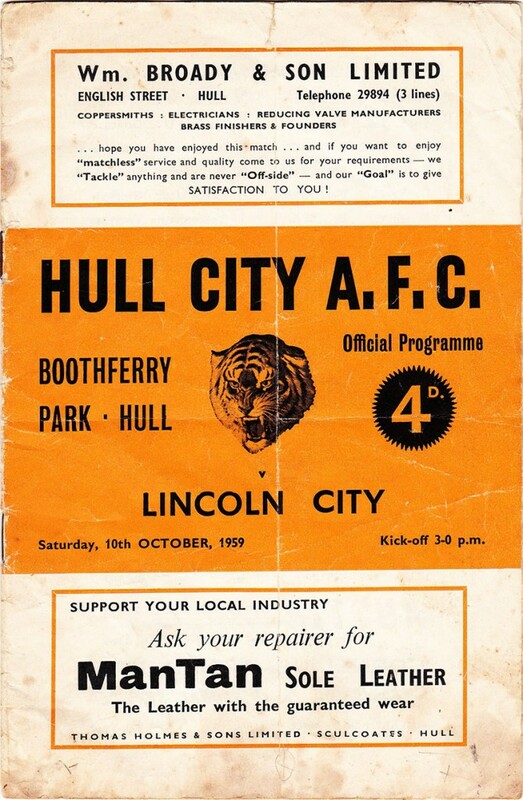 I wrote a fan letter to Boothferry Park and was absolutely delighted to received this programme back in the post.